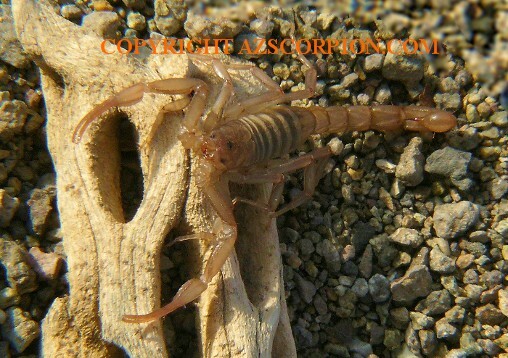 Above is a photo of the Arizona Scorpion species Stahnkeus subtilimanus. Stahnkeus subtilimanus was formerly known as Serradigitus subtilimanus. This particular pic was taken in the mountains east of the Colorado River in Western, Arizona. I am fortunate to have available pics of this species of Arizona Scorpions. Arizona Scorpion World created 07/12/08.